What type of fence is best for a dog? Do you have a new furry friend that’s nosed their way into your life? If so, you probably are beginning to think about whether your home could benefit from a new fence. 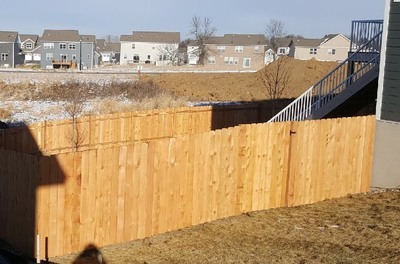 If you have an old and dilapidated fence, or if you’re just looking to price out a totally new fence, feel free to reach out to our team at Twin Cities Fence. We’ve helped countless homeowners install dog fences to keep their furry friends as safe as possible. We use only the highest quality materials and thanks to our extensive expertise, we’ll easily be able to create a fence that will stand up to even the most rambunctious pooches! Are you a homeowner in the Orno area and in need of an experienced fencing contractor? 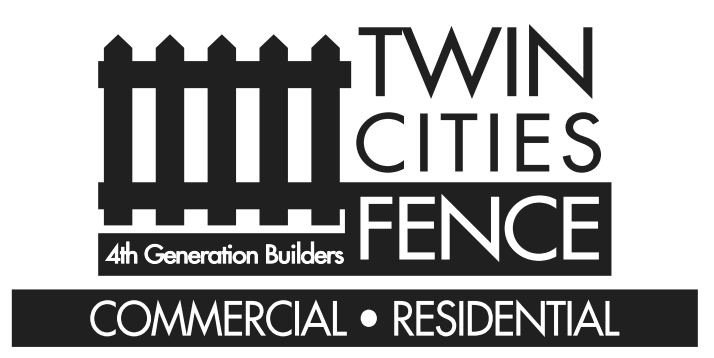 At Twin Cities Fence, we’re a fourth generation fencing installation company who are well versed in all types of different fencing materials and fencing systems. Feel free to reach out to our team if you’re in the Orno area and looking for commercial or residential fencing repairs, installation or replacement. Do you have a fence on your property that either has a damaged gate, or simply needs a gate added? If so, you want to ensure the fence contractor you hire is experienced when it comes to adding a gate to an existing fence. 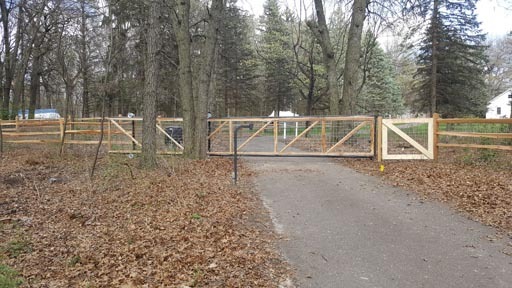 At Twin Cities Fence, we’re experts in all types of fence installation and fence repair, including adding gates of all sizes and shapes to existing fences. Feel free to reach out to us if you’d like for us to come by to provide you with a complimentary estimate for adding additional gate(s) on your property. Looking for quality indoor fencing solutions that provide privacy and functionality? At Twin Cities Fence, we provide indoor fencing for both your storage and privacy needs. For over four generations, our company has been assessing our customers’ needs and providing them with the right fencing solutions that store all of their boxes and more. 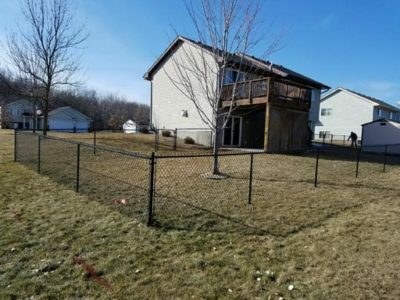 Your home is your most valuable investment and if you decide to fence in your property you want to be confident that your fence promotes safety, is secure and can withstand all that the Minnesota winters have in store for it. 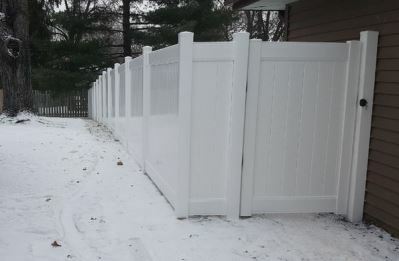 Twin Cities Fence offers a wide variety of residential fencing options that meet the needs of our customers AND that function well in the Minnesota winters. Our contractors are experienced and our team can help you choose the perfect fence for your property. Some of our most popular residential fencing options include: Cedar Wood Fences: When you envision a residential fence, you likely think of a classic wood picket fence. Cedar wood fences can look classic, rustic or modern. If you own a home or business, you likely spend time thinking about the importance of security and safety for your property. If we are homeowners, we want to know that we can be safe in our homes and that our belongings are secure if we are not there. If we are business owners, we want to know that our fleet vehicles, our buildings, and our products are safe from theft and other threats. Are you thinking of installing a new fence at your home or office? One of the most popular fence materials is 4” chain link fencing. 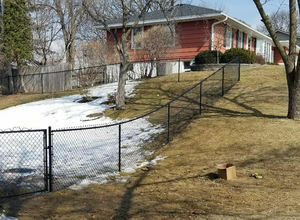 At Twin Cities Fence, we’re a top chain link fence installation company in the Twin Cities area, and in this blog we’ll discuss the many benefits of choosing a 4” chain link fence to better protect your home or office. The following are a few reasons why it pays to ensure you’re installing high quality materials such as 4” chain link fencing. While there are a whole host of local fence contractors who would be more than happy to install a simple chain link, or wooden privacy fence, few are able to provide high quality gate repair and installation. Fence gates can be quite complex, and if you have one that’s not functioning properly, you know just how frustrating they can be from time to time. 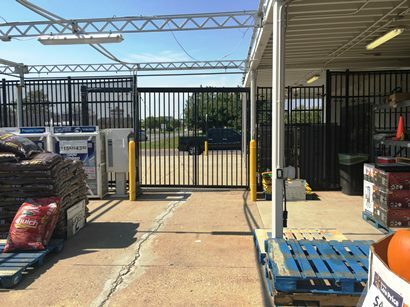 Unfortunately, there’s only a few companies in the area that are experienced and qualified enough to work on a wide array of different fence gates. 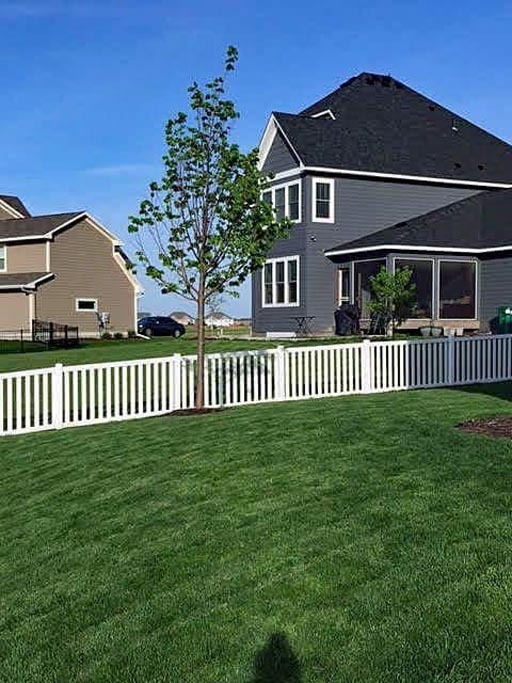 Twin Cities Fence is an experienced and reliable professional fence contractor that specializes in all types of fence installation. 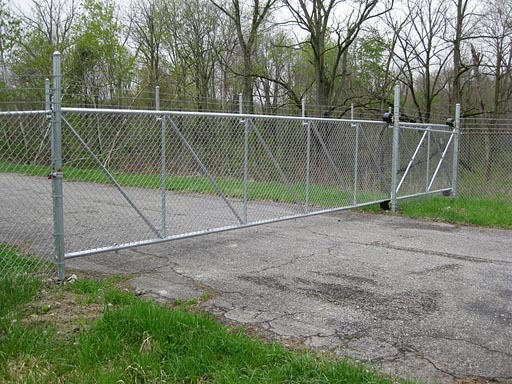 One type of fence that you may not realize we offer is installing driveway gates. If your goal is to fence in your entire property for security reasons, a driveway gate can connect your fence at your driveway and allow entry and exit to those that you approve. When you think of a fence, do you think of the standard wood privacy fence, or maybe a chain link fence? The reality is that there are a whole host of decorative fence options that can give you the privacy and function you’re looking for, but still look extremely attractive. At Twin Cities Fence, we offer a number of different decorative fence options to meet the needs of our growing customer base.